LinkedIn - September 05, 2015 - Labor Day, 2015, offers Americans something to celebrate for the first time in years. All around the country, movements are growing to raise the minimum wage significantly. The current target is $15/hour, more than twice the federal minimum, and legislation to create such a minimum is being passed in city after city. As this effort to move full-time workers above the poverty line gathers steam, there is reason to believe that in the not-to-distant future, all employees will be guaranteed a living wage. For decades, historic gains in worker productivity have been going to those who occupy executive suites and attend shareholders' meetings. Now, there is hope that this regressive trend will change. Labor Day, 2015, offers Americans something to celebrate for the first time in years. All around the country, movements are growing to raise the minimum wage significantly. The current target is $15/hour, more than twice the federal minimum, and legislation to create such a minimum is being passed in city after city. As this effort to move full-time workers above the poverty line gathers steam, there is reason to believe that in the not-to-distant future, all employees will be guaranteed a living wage. For decades, historic gains in worker productivity have been going to those who occupy executive suites and attend shareholders’ meetings. Now, there is hope that this regressive trend will change. Barry Schwartz, Professor of Psychology at Swarthmore College. That said, though there is no doubt that people need wages and wouldn’t work without them, there is more to a good job than a decent wage. Improving compensation for work has been an uphill battle, to be sure. But in mounting those efforts, reformers have paid scant attention to an equally important aspect of work - the character of the jobs that people actually do. How satisfied are we with our jobs? The Gallup Organization regularly polls workers around the world to find out. Its survey in 2013 found that almost 90 percent of workers were either “unengaged” or “actively disengaged” from their jobs. Think about that: Nine out of 10 workers spend half their waking lives doing things they don’t want to do in places they don’t want to be. One possibility is that it’s just human nature to abhor work. This was the view of Adam Smith, the father of industrial capitalism, who felt that people were naturally lazy and would work only for pay. This idea has been quite influential. About a century later, it helped shape the scientific management movement associated with F.W. Taylor. By subjecting factory production to minute scrutiny, the movement aimed to create efficient systems of manufacture that minimized the need for skill and close attention — things that lazy, pay-driven workers could not be expected to have. Today, in factories, offices and other modern workplaces, the details may be different but the overall situation is the same: Work is structured on the assumption that we do it just for the money. In call centers, workers are closely monitored to make sure that the duration of each call is minimal. Office workers find their keystrokes being overseen, to make sure there is no deviation from the tasks at hand. Even doctors are expected to adhere to rapid-fire office visits. “Don’t ask your patient ‘so how was your daughter’s wedding,’” one efficiency expert advised. “Instead say ‘I’m sure the wedding was wonderful.’” This to keep the irrelevant chitchat to a minimum. I think that this efficiency and wage-driven approach to work is entirely backwards. 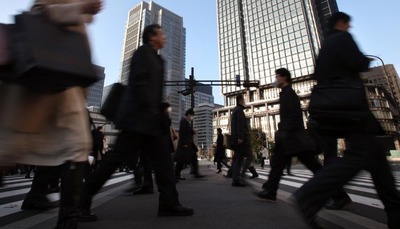 It is making us unsatisfied with our jobs — and it is also making us worse at them. For our sakes, and for the sakes of those who employ us, things need to change. To start with, I don’t think that most people recognize themselves in Adam Smith’s description of wage-driven idlers. Of course, we care about our wages, and we wouldn’t work without them. But we care about more than money. We want work that is challenging and engaging. We want work that enables us to exercise some discretion and control over what we do, and that provides us opportunities to learn and grow. We want to work with colleagues we respect and with supervisors who respect us. And we want work that is meaningful — that makes a difference to other people. Such work ennobles us in at least some small way. We want these things so much that we may be willing to take home a thinner pay envelope to get them. Lawyers leave white-shoe firms to work with the underclass and underserved. Doctors abandon cushy practices to work in clinics that serve the inner city. Moreover, we regard these desirable aspects of work as more than mere personal preference. When we say of someone that “he’s in it for the money,” we are doing more than offering a description. You might object that these examples are of professionals — people who have the financial security to care about more than just their paychecks, and the privilege of working in stimulating fields in which it is possible to find meaning and personal satisfaction. I submit that they, too, are looking for something more than wages. About 15 years ago, for example, the organizational-behavior researchers Amy Wrzesniewski and Jane E. Dutton studied hospital custodians in a major academic hospital in the Midwest. Though their official list of job duties never even mentioned other human beings, many of the custodians viewed their work as including doing whatever they could to comfort patients and their families and to assist the professional staff members with patient care. They would sing to patients, joke with them, calm them down so that medical residents could insert IVs. They would delay vacuuming waiting areas so that exhausted family members who were napping could get a little respite. They received no financial compensation for these “extra” activities. But according to the custodians, this aspect of the job was what got them out of bed every morning. “I enjoy entertaining the patients,” said one. Similarly, a few years ago the management professor Adam Grant studied a group of college students who worked as phone solicitors, calling alumni to ask for contributions to their university. As an experiment, Mr. Grant arranged for a recent graduate who had attended the university on a scholarship funded by such solicitation efforts to meet the students. He gave a five-minute talk about how the scholarship had affected his life and how grateful he was for their solicitation efforts. Grant found that the students’ productivity more than doubled afterward. Again, there was no added compensation for the harder work — just a deeper sense of purpose. Journalist Mike Rose found hairdressers for whom the technical skills involved in cutting, coloring, and styling hair took a back seat to the interactions with clients that helped the clients make good decisions about their haircuts and feel good about the results. The employees at the Market Basket supermarket chain risked their jobs (in a down economy) to go out on strike in support of their CEO who had lost his position in a family battle. They took this risk because they so valued the CEO’s commitment to the mission of the supermarket to serve the community and his commitment to honor employees as respected partners in that mission. And when Ray Anderson, CEO of the enormously successful carpet manufacturer Interface, decided to reduce the company’s huge environmental footprint, almost certainly at significant costs to the bottom line, he discovered that as the footprint went down, profits went up - largely because employees were so inspired by the new company mission that they worked smarter and harder than they ever had before. These are just a few examples from a literature of cases demonstrating that when given the chance to make their work meaningful and engaging, employees jump at it, even if it means that they have to work harder. Such cases should serve to remind us there is a human cost to deskilling and routinizing work. Too often, instead of being able to take pride in what they do, and derive satisfaction from doing it well, workers have little to show for their efforts aside from their pay. But perhaps there is an upside to monotonous, routinized work. 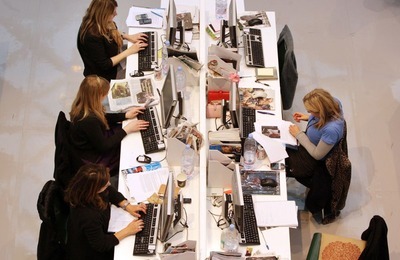 Is it possible that what we lose in work satisfaction, we gain in efficiency? 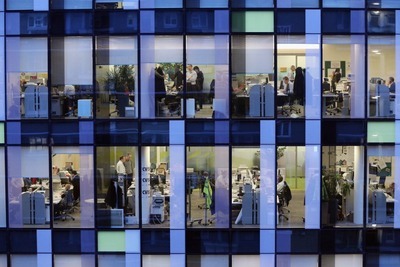 Our work experience might be poorer, but we — or at least our bosses — would be richer. Yet more than 200 years later, there is still little evidence for this satisfaction-efficiency tradeoff. In fact, most evidence points in the opposite direction. In his 1998 book, The Human Equation, which reviewed numerous studies across dozens of different industries, the management scholar Jeffrey Pfeffer found that workplaces that offer employees work that is challenging, engaging and meaningful, and over which they have some discretion, are more profitable than workplaces that treat employees as cogs in a production machine. For example, in a study of 136 firms that had IPOs in 1988, across many different industries, those that placed a high value on human resources were 20 percent more likely to survive for at least five years than those that did not. Similar differences in success were found in a study that compared the management practices of steel mills. And in a study of apparel manufacturers, sales growth and profit margins were more than 50 percent higher in companies with enlightened management practices than in those that did things the old-fashioned way. The findings were similar in studies of semiconductur manufacture, oil refining and various service industries. Pfeffer’s book gives the distinct impression that if you are trying to decide where to make an investment, the best place to look is the annual list of the 100 best places to work. And comparable findings were documented more recently by the Harvard Business School professor Michael Beer in his 2009 book, High Commitment High Performance. When employees have work that they want to do, they are happier. And when they are happier, their work is better, as is the company’s bottom line. One famous example, cited by Mr. Pfeffer, was a GM automobile plant in Freemont, Calif., that was taken over by Toyota in partnership with GM in the early 1980s. Toyota’s choice of the Fremont plant surprised the industry: According to the United Auto Workers Union, the Fremont employees were considered the worst workforce in the United States automobile industry. Employees drank on the job, committed petty acts of sabotage and often didn’t show up. But when Toyota reopened the factory for production in 1984, most of the GM workforce was rehired, and by the end of the year the first car had rolled off the assembly line. Almost from the start, the factory was producing cars with as few defects per 100 vehicles as those produced in Japan. Defects per 100 cars were cut almost in half as were the number of person-hours it took to produce a car. What produced the change in the work ethic? Workers who were interviewed pointed not to higher wages or shorter hours — but to the new management’s emphasis on things like teamwork and collaboration. Observers of the quality and efficiency difference between Japanese and American car production might have assumed that it was a reflection of differences in the character of the Japanese and American work force. But Toyota showed that it was the work, not the workers. The Toyota example might seem like old news. But that only raises a deeper question: In the face of longstanding evidence that routinization and focus on pay leads to worse performance, why have we continued to tolerate and even embrace it? Indeed, as Kenneth Sharpe and I documented in our book, Practical Wisdom, instead of enriching the work opportunities of relatively unskilled workers, we are impoverishing the opportunities of highly skilled ones. Teachers resent being forced to follow scripts that are aimed at producing high scores on standardized tests, all in the service of accountability. Doctors resent being forced to adhere to “standard and customary practices,” in the service of reducing medical costs. Lawyers resent being held to the single standard of billable hours. Judges resent being forced to adhere to sentencing mandates or rigid guidelines. In the face of evidence that increased routinization leads to worse performance, we continue to increase routinization. In Why We Work, I try to answer this question. When Adam Smith suggested that people work only for pay, he was making a claim about what he thought was an essential attribute of human nature. Just as people are bipedal, and they communicate with language, they are lazy. Given that laziness is an essential human attribute, we have to find a way to make it worthwhile for people to work, and to work hard. And the tool that the marketplace found was pay. Without a highly motivating pay structure, people won’t work, and with it, nothing else matters. And so systems of production were developed based on Smith’s claim that virtually guaranteed that the only reason anyone would ever show up at a job was the paycheck. Smith blazed a trail that leads all the way to the present day. What he and his descendants did not realize is that rather than exploiting a fact about human nature, they were creating a fact about human nature. This alteration of human nature doesn’t happen all at once, like the flip of a switch. People enter occupations with a variety of aspirations aside from their pay. Then, they discover that their work is structured so that most of those aspirations will be unmet. Over time, they either lose the aspirations or leave the work. As this process continues, later generations of employees don’t even have the aspirations. Compensation becomes the measure of all that is possible from work, and when employees bargain, they bargain for improved compensation, since nothing else is on the table. When this process goes on for long enough, people become just the kind of creatures that Adam Smith thought they always were. Witness the janitors, hairdressers, and supermarket workers I described above. But in impoverished working conditions, workers like these are regarded as extraordinary, even heroic. At one point in The Wealth of Nations, Smith seems to acknowledge this dynamic transformation of human nature brought about by the routinization of work. The man whose life is spent in a few simple operations . . . has no occasion to exert his understanding, or to exercise his invention in finding out expedients for difficulties which never occur. He naturally loses, therefore, the habit of such exertion and generally becomes as stupid and ignorant as it is possible for a human creature to be. What Smith is saying here is that the kind of work people do changes the kind of creatures people are. In this, he was exactly right. What he meant is that human beings are not fully formed by their biological endowment. They come into the world a certain way, but their experience in the world then molds them. In a world in which 90% of workers get little or no satisfaction from their work, we risk creating a human nature that matches Adam Smith’s assumptions. What modern workplaces show is that people can be the kinds of organisms Smith envisioned, but not that they must be. There are ample demonstrations of this process playing out on a small scale. If you fine parents for coming late to fetch their kids at daycare, lateness goes up, because the fines substitute for the parents’ sense of responsibility to the staff. If you offer to compensate citizens for having a toxic waste site located in their communities, willingness to accept the site goes down, because the offer of compensation undermines their sense of responsibility as citizens. People are less likely to volunteer to help load a couch into a van when you offer to pay them, because the offer of pay makes their task a commercial transaction rather than a favor to another human being. If “effort for pay” becomes the only game in town, people eventually lose a sense of what “doing a favor,” “social responsibility,” and “public duty” even are. Money does not tap into the essence of human motivation so much as transform it. When money is made the measure of all things, it becomes the measure of all things. To be sure, people should be adequately compensated for their work. Recent efforts across the country to achieve a significant increase in the minimum wage represent real social progress. But in securing such victories for working people, we should not lose sight of the aspiration to make work the kind of activity people embrace, rather than the kind of activity they shun. By giving employees more of a say in how they do their jobs. By making sure we offer them opportunities to learn and grow (it is noteworthy that Pfeffer reports in his book that across different industries, Japanese companies provide about seven times as much training of employees as American companies do). And by encouraging them to suggest improvements to the production process and listening to what they say. But most important, we need to emphasize the ways in which an employee’s work makes other people’s lives at least a little bit better (and, of course, to make sure that it actually does make people’s lives a little bit better). The phone solicitor is enabling a deserving student to go to a great school. The hospital janitor is easing the pain and suffering of patients and their families. The fast food worker is lifting some of the burden from a harried parent. Work that is adequately compensated is an important social good. But so is work that is worth doing. Half of our waking lives is a terrible thing to waste. 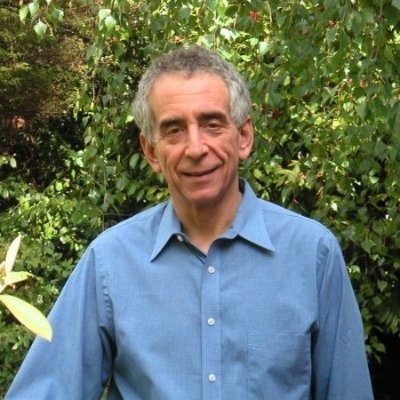 Barry Schwartz is a professor of psychology at Swarthmore College. 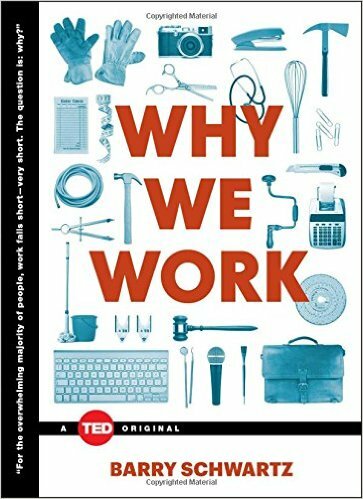 His new book, “Why We Work,” was published on September 1. A version of this essay appeared in the New York Times on August 30.